Oxford University Press, USA, 9780195429701, 356pp. 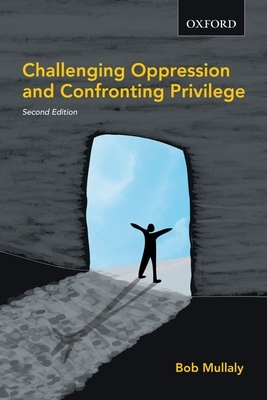 Challenging Oppression and Confronting Privilege is the definitive guide to anti-oppressive social work, which is a prominent part of social work theory and practice in Canada. Bob Mullaly examines the many forms that oppression can take, at the personal, cultural, and structural (or institutional) levels. The text outlines the necessary practices and approaches that social work must adopt in order to fight against oppression and assist those who have been oppressed. Bob Mullaly is a professor in the faculty of Social Work at University of Manitoba. Previously, he has taught in the Department of Social Work at Victoria University in Melbourne, Australia, and in the Social Work program at St Thomas University in Fredericton, New Brunswick, which he founded. He is also the author of The New Structural Social Work (OUP Canada, 2007).